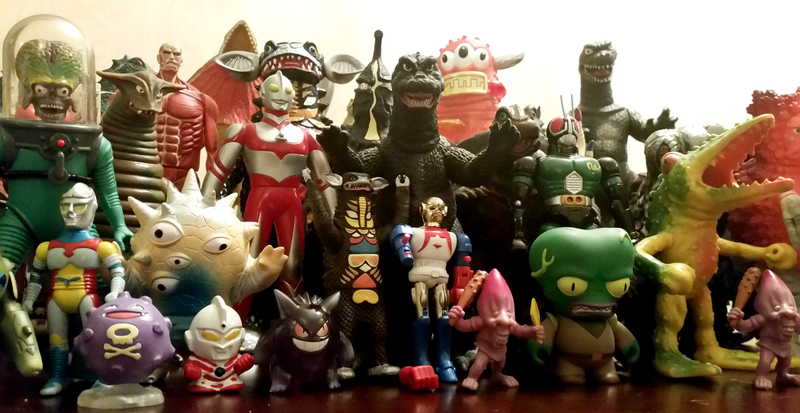 The Tokusatsu Network’s Artist Feature returns from this past Designer Con in Pasadena, CA. 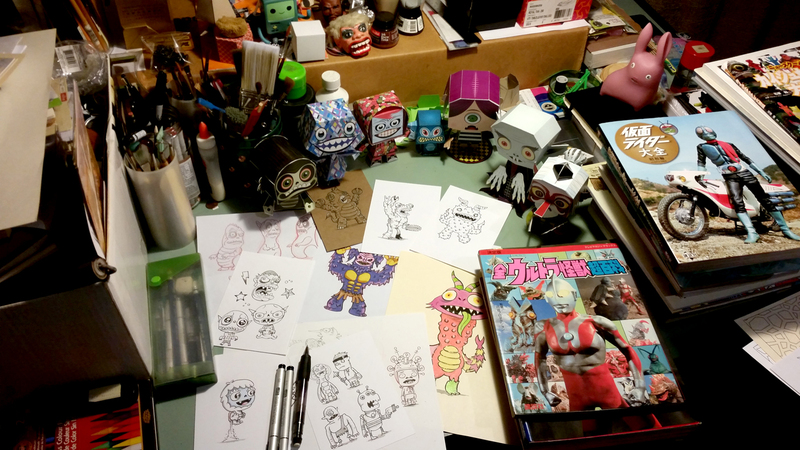 There we met various artists and designers whose creations stem from pop-culture, sci-fi, and tokusatsu. Christopher Bonnette is a Los Angeles-based artist whose paper craft pieces, designs, and sculpture can be found internationally. 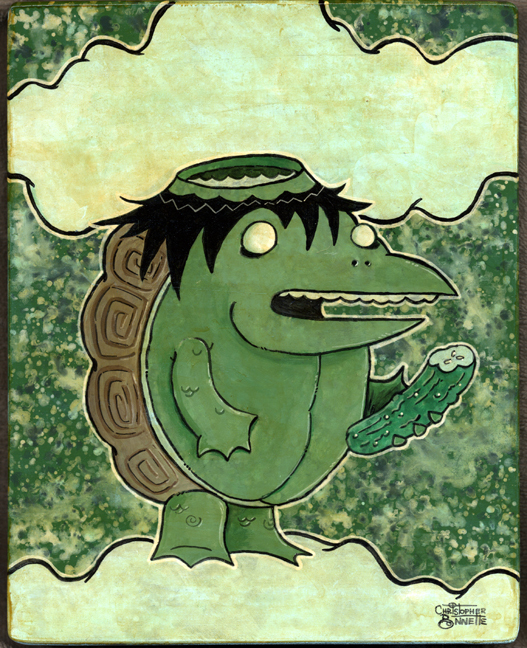 The upcoming Smash Mash Monster mobile app game by Ingenuity Art highlights Bonnette passion for monsters and folklore. 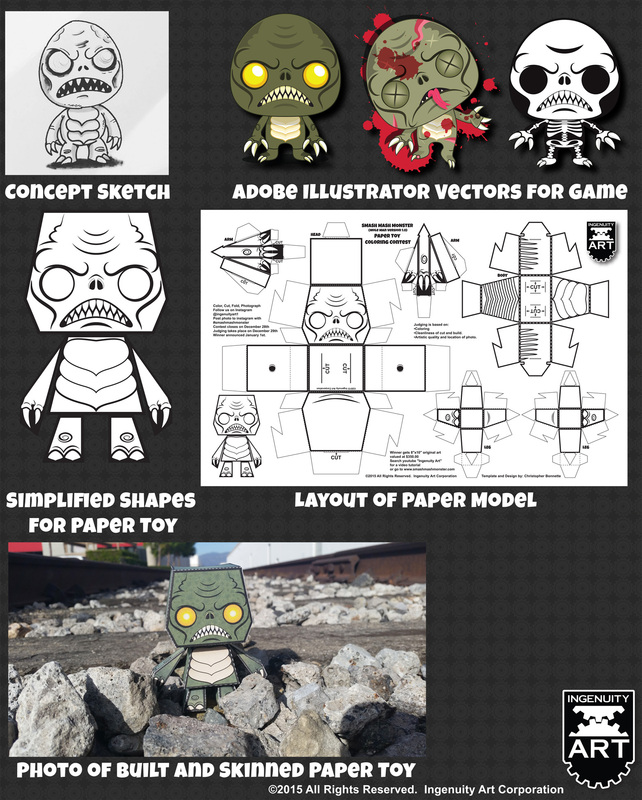 Visitors to his personal website at www.macula.tv can find tutorials as well as download and create their own paper craft monsters. 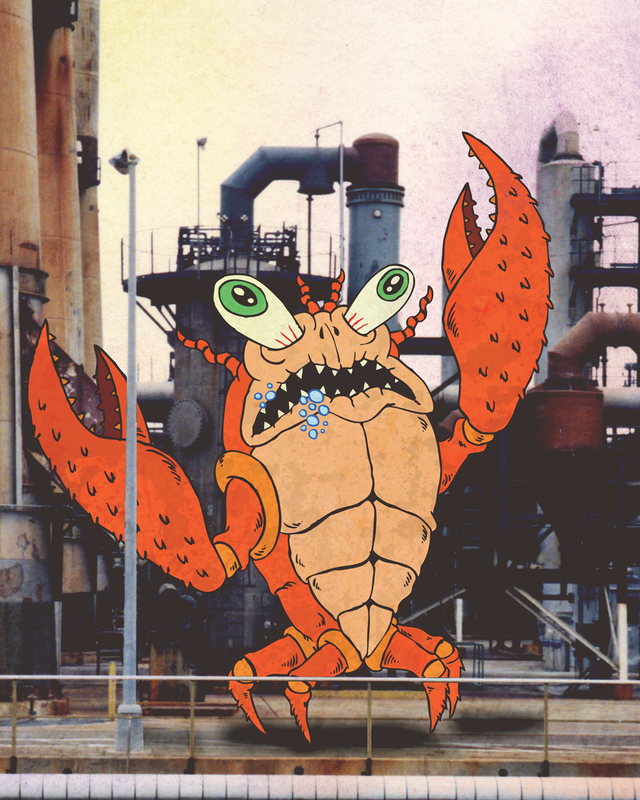 What inspired you into creating monsters and robots? Television, movies, toys, and video games were a big inspiration; my whole family liked scary movies. The Munsters, The Addams Family, and The Twilight Zone, was a must watch on the weekend. My dad and I [also] loved An American Werewolf in London. Midway’s Rampage and NEO GEO’s King of the Monsters were also really cool. I wish they would remake those on next gen consoles. Did you ever get into giant robot shows or comics, like Shogun Warriors or Ultraman? Oh yeah! Back in 1984– I was 8– Voltron came out and the Robeasts were a huge inspiration. I would watch the US version of Mazinger Z (Tranzor Z) every morning before school. After school I would watch Robotech, He-Man, and The Real Ghostbusters which was my daily dose of monsters, aliens and robots. Channel 5 would have martial arts or kaiju movies playing as a Sunday double feature, so I would always watch that. There would be Godzilla marathons for various holidays too. 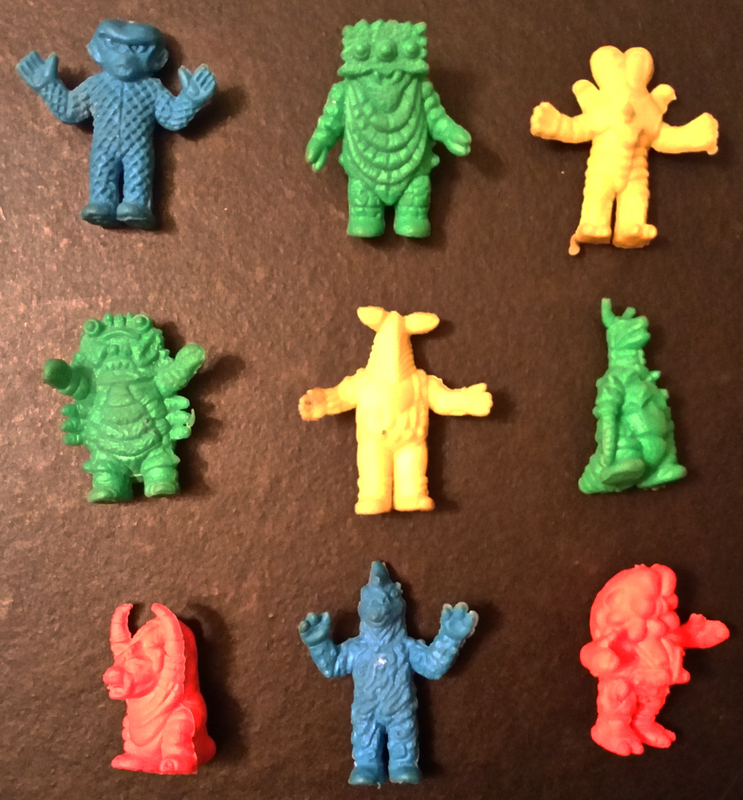 I had Ultraman toys when I was young, but I did not see the show until much later in life. Good old pencil, paper, pen, and ink. Can you walk us through the process when creating a piece, especially your paper craft pieces? If I am making a paper model for the website or a client, I always start with lots of paper and pencil sketches. I tend to draw the character or creature first and then start to break it down into more geometric shapes. Once I have a decent idea in mind of how I can make the illustration into a paper model, I start to create the unfolded shapes with tabs and folding lines. I do this in Adobe Illustrator. If I think it will work, I then cut it out and glue it together. If the pieces do not go together correctly, I refine the design. This process could take several attempts until I get it just right. that look amazing, but there are just so many pieces to cut out I probably would never build it. Once I have a blank model I like, I add the graphics to it. This is known as skinning. I get to have fun and choose colors, make different eyes, add buttons, etc. I think the coolness and charm of the characters really come out in this part of the process. This whole process takes 15 to 30 hours normally depending on the complexity. After everything is done, I write up a little bio on the character, photograph it and my business partner puts it on the website. What inspired the creation of the Smash Mash Monster game? What were your biggest challenges creating it? 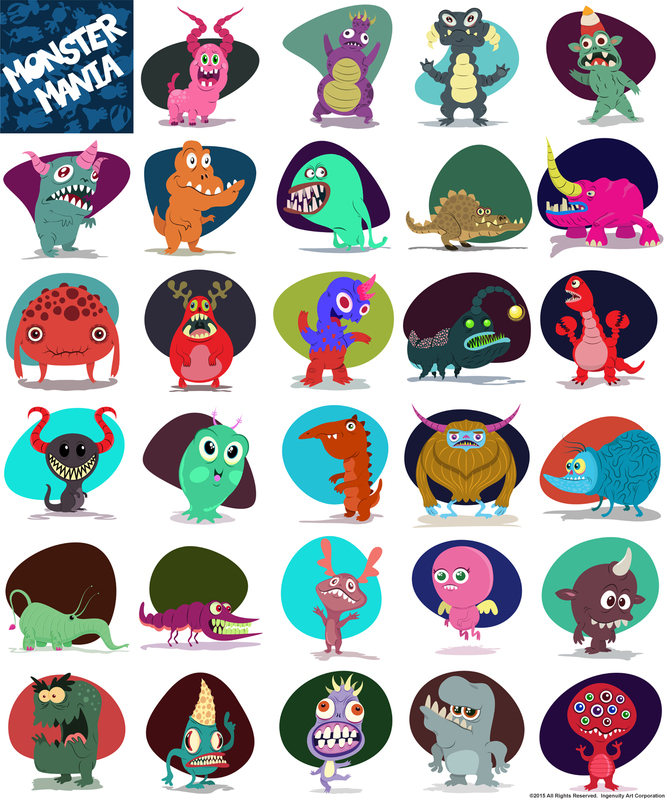 Smash Mash Monster is the first app game to come from Ingenuity Art. Ingenuity Art is a design company formed by Robert Tsai, Joseph Bartlett, and myself. We are all in the art field. As a group, we racked our brains to come up with an idea that could utilize all of our talents. I suggested game apps to develop and brand our characters and Smash Mash Monsters was born. From here, we hope to develop it into toys, books, and other products. The biggest challenge is finding the right programmers and source codes. Animation can be a challenge because we are very picky about getting things to move just right. So, what’s your favorite pop-culture monster? Oh there are too many, these are just the ones off the top of my head. My commercial (day job) work can be found at Nordstrom, Target, Walmart, CVS, Walgreens, Rite Aid, Dollar General, Dollar Tree, Family Dollar, 99 Cent Stores, ABC Stores Hawaii, Claire’s, Zeller, Costco, Kolh’s, K-Mart, Tilly’s, and Sports Chalet. I currently design a lot of textiles and gift bags. However, my passion is drawing monsters. My passion is the reason why I ventured into my own design company. I have worked with many licensed product development, mostly consumer products that include: Disney, DreamWorks, Nickelodeon, Warner Bros., Marvel, Toonami, Nintendo, Sanrio, American Greetings, W!ldbrain Entertainment, HiT Entertainment, Hasbro, Mattel, Inc., and JAKKS Pacific Inc. I have also done quite a few galley shows and conventions. I am happy to announce we just got our booth for San Diego Comic-Con International 2016. BOOTH # 1533. Do you have any other projects you’re currently working on that you’d like to share? There are many projects in the works. 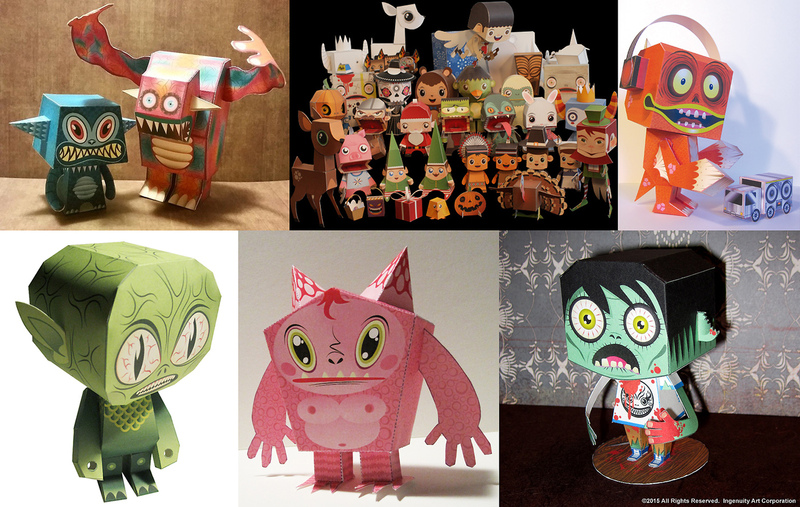 Two collaborative paper toy books for 2016. We are currently developing 21 different phone game apps, 2 of which are kaiju-based. We are trying to really create a brand for ourselves and do licensing products as well as more art shows and conventions.